It’s here! 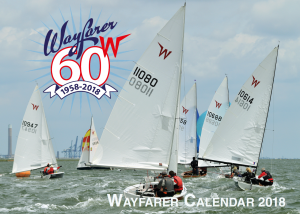 To celebrate the UKWA’s 60th anniversary in 2018, we’re issuing this special 28-page, A4, glossy, full-colour calendar (with a few original black and white photos). The format is one month per page, with a full-page photo opposite. The calendar itself runs from January 2018 to January 2019 inclusive. UKWA members should each have received a complimentary copy with the winter edition of Wayfarer News, but you are encouraged to order further copies here. International members are equally welcome to purchase one or more copies, which you can do by clicking (or tapping) on the cover photo thumbnail shown here.